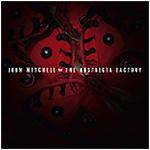 More information: “Oceans Of Time” features 11 tracks recorded and produced at Outhouse Studios by renowned producer John Mitchell and is the successor to Touchstone’s previous albums: The City Sleeps 2011), Wintercoast (2009) and Discordant Dreams (2007). On this eagerly awaited new album, the band continue their “Wintercoast” story with the dynamic, moving epic title track ‘Oceans Of Time’; the sequel to the title tracks of Wintercoast and The City Sleeps. Another familiar theme comes from ‘Shadow’s End’, the final part of the Shadow trilogy, which started with the track ‘Shadow’, from Discordant Dreams. 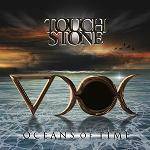 Fans will enjoy a more guitar-orientated sound from “Oceans Of Time” than previous albums due to the nature of the writing process. All the music is written by Touchstone, with lyrics by lead vocalist Kim “Elkie” Seviour, and keys man Robert Cottingham, whilst guitarist Adam Hodgson again designed the cover artwork.